Jack Rebney's bad day was nothing but backroom lore until the web made him Winnebago Man, a.k.a. the angriest man alive. 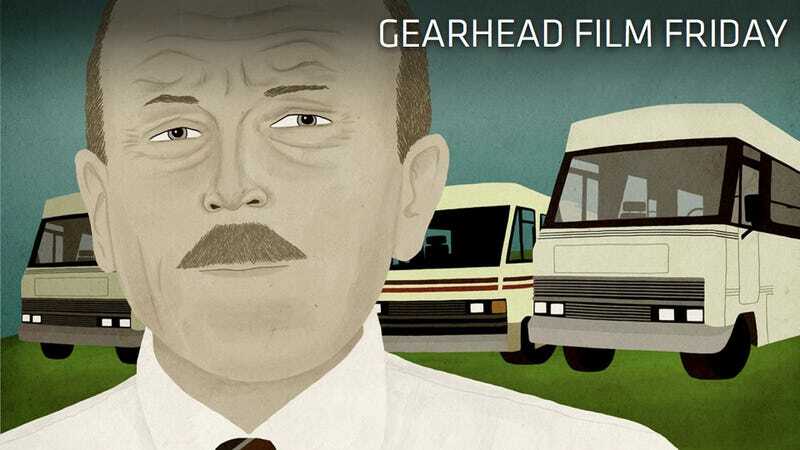 Director Ben Steinbauer tracked down Rebney for the documentary "Winnebago Man," which we're featuring as our first Gearhead Film Friday feature. And as a special treat the film's producer, Joel Heller, will be in the comments answering a few of your questions, so feel free to put your fascinating inquiries in the comments below. One of the most famous viral videos of all time and a favorite around the Jalopnik office when we go a little bonkers, the Winnebago Man video was a collection of the best outtakes from an overwhelmed Winnebago pitchman. But what's the result of all of our amusement on this one angry man? Director Ben Steinbauer also loved the video and he, too, wondered about the psychic impact on Rebney so he set out to find him. The final product is an amusing and touching look at what it's like to be on the other end of the a web phenomena. Fair warning. The dialogue is a little NSFW unless you work on a Winnebago commercial shoot. You can see the full film for free here. The film's producer and editor are answering a few questions now (4:45 pm EST) and will be back on later to answer any other questions you might have after you've viewed the film. This film will be viewable on SnagFilms.com for free until August 25th. We're also featuring a preview of the film here, courtesy of SnagFilms. This film is today's Gearhead Film Friday, which is a new weekly feature where we show a piece of cinema selected for being of interest to automotive enthusiasts. If you have a film you think we should feature send an email to tips at jalopnik dot com.